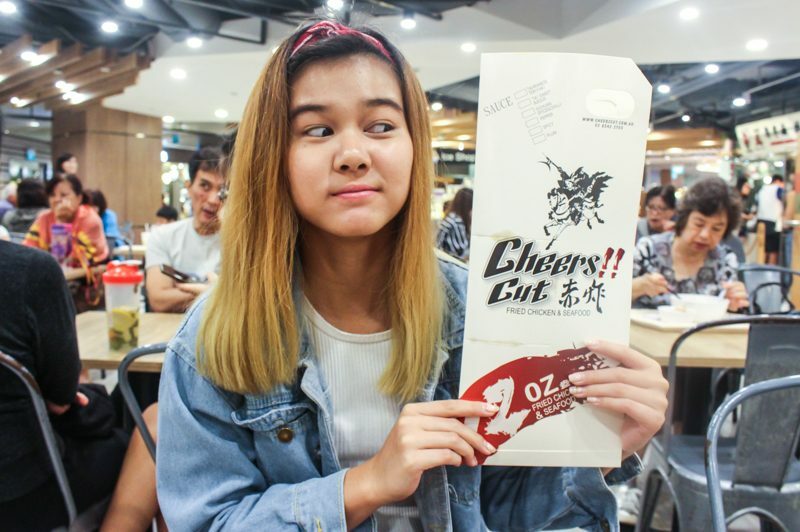 If you’re craving some Taiwanese street food and won’t be hopping on a plane to Taiwan anytime soon, then Cheers Cut is your solution. In fact, this unassuming stall located within Shaw Centre’s Food Republic sells affordable Taiwanese fusion cuisine that is pretty much comparable to those that you’ll have abroad. But, what’s so special about them? Well, for one, they are known for their best sellers — the Ninja Crispy Chicken and the Monster Squid. 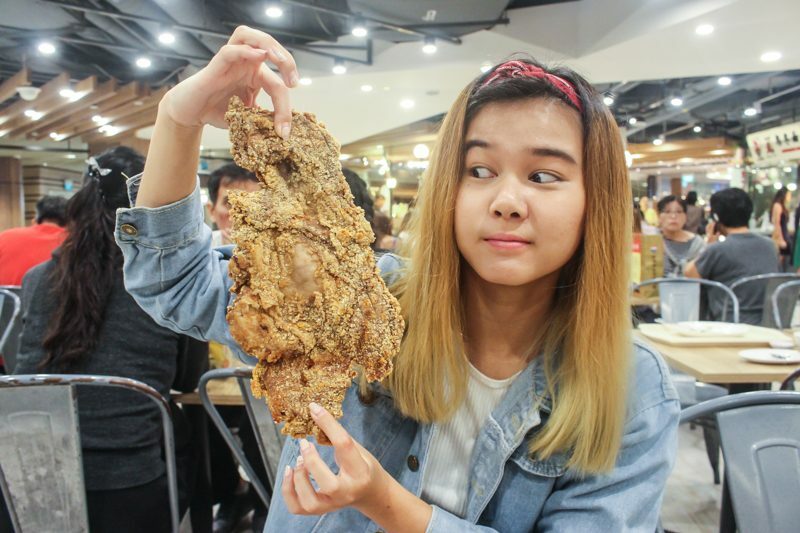 As you can see, the signature Ninja Crispy Chicken ($8.90) is HUGE. And, that’s pretty evident when we held it up beside our faces. Aside from being sizeable, the chicken itself is made fresh and is of course, tender to boot. Personally, I liked the fact that this wasn’t chopped into bite sized pieces. Having the huge chunk on its own certainly allowed me to chomp down on the chicken and that proved to be more satisfactory. 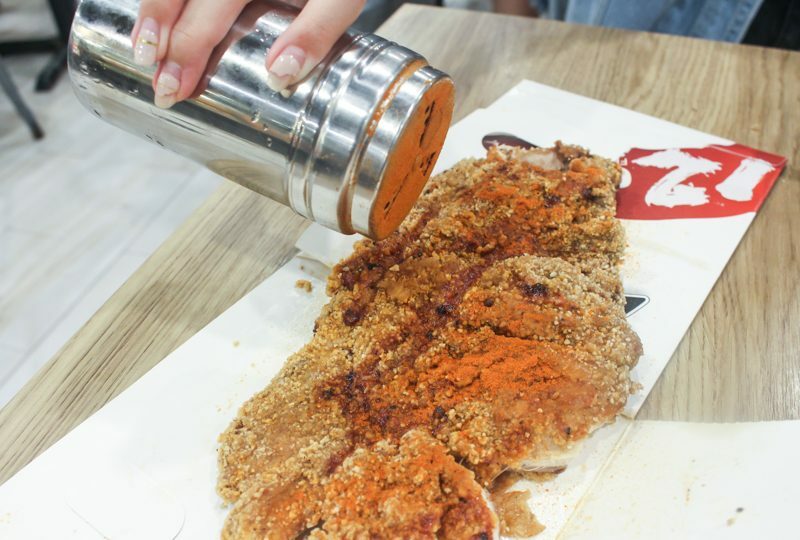 Each slab of chicken also comes with your pick of homemade sauce for a much-needed coat of flavour. Choose from either Honey Mustard, Sichuan Chilli or Teriyaki sauce. We opted for the Sichuan Chilli but found that it wasn’t as spicy as we hoped, so we sprinkled some chilli powder over, as well. 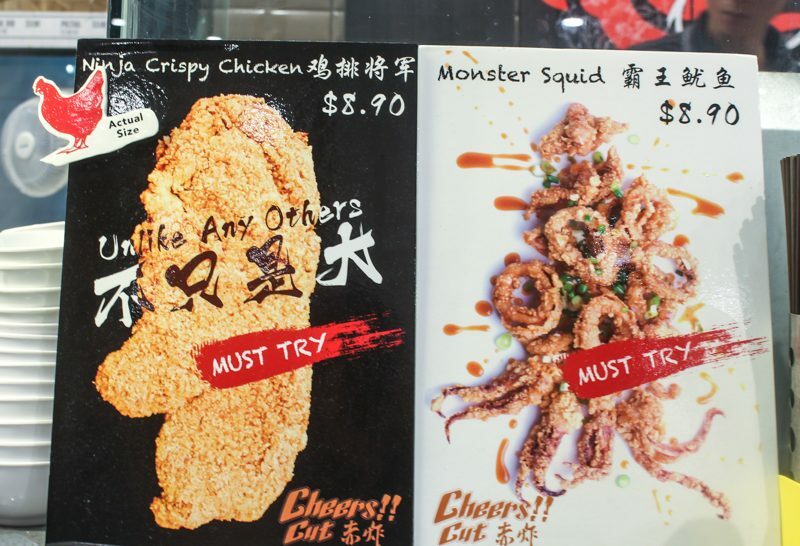 Unlike the chicken cutlet, the Monster Squid ($8.90) actually comes in smaller chunks for easier consumption. 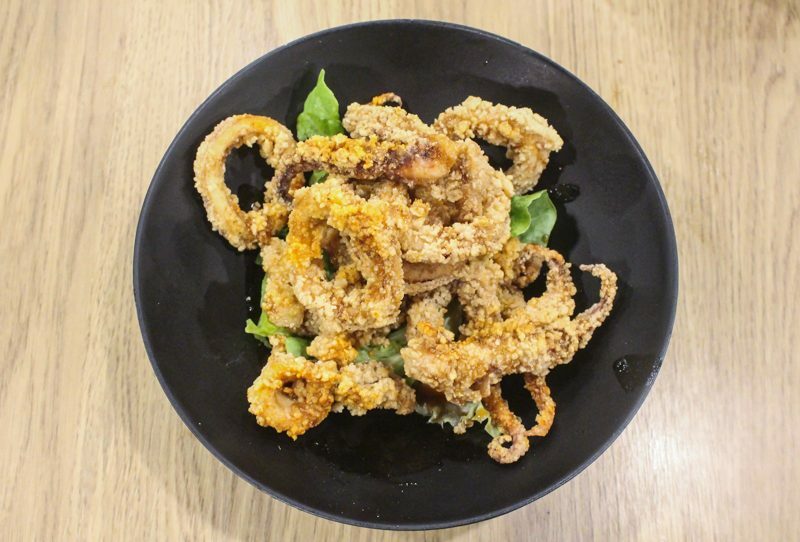 If you’re one of those people who can’t get enough of calamari, this one’s definitely for you. 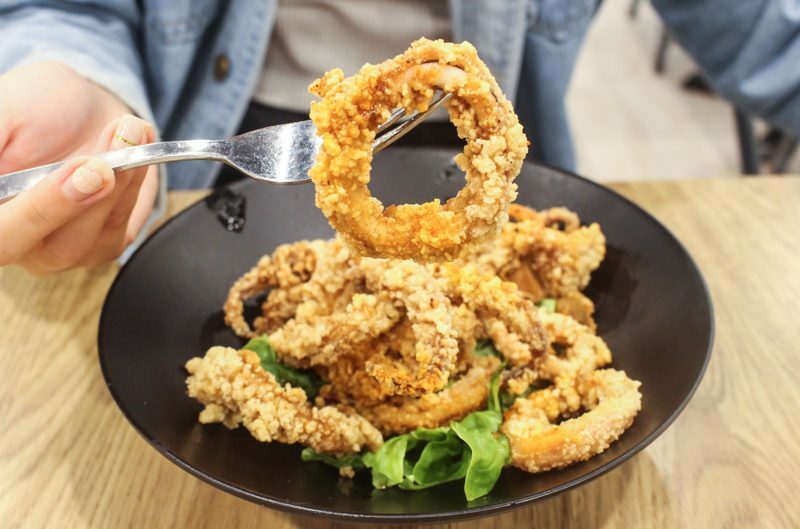 The squid rings we had were all notably crispy on the outside and yet, managed to retain a soft and chewy texture on the inside. Tossed around in a good amount of garlic and topped with teriyaki sauce, each squid ringlet was simply delectable and had a satisfying bite to it. If you’re sharing the chicken cutlet and still feel peckish after, this will be a great addition to complete your meal. For those who would rather not indulge in finger food for lunch, you can also go for their rice bowls. 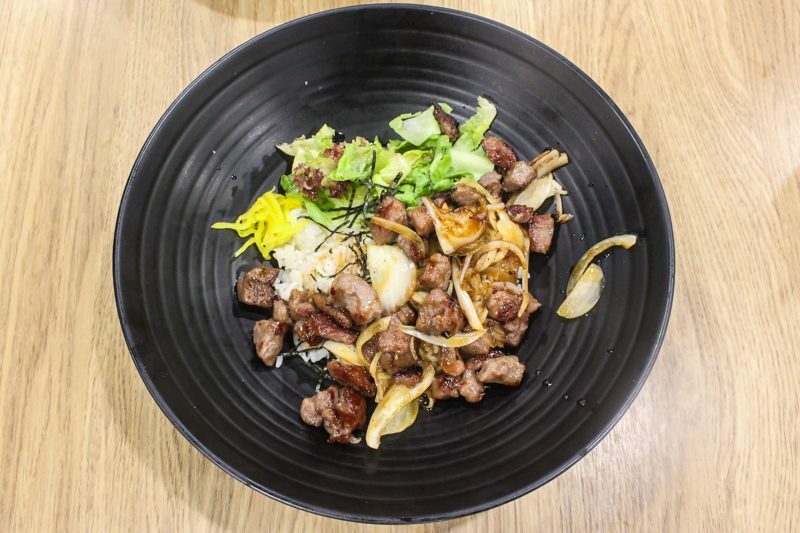 Try the Grilled Beef Set ($8.90) if you simply can’t resist the killer combination of tender beef slices and fragrant Japanese rice. 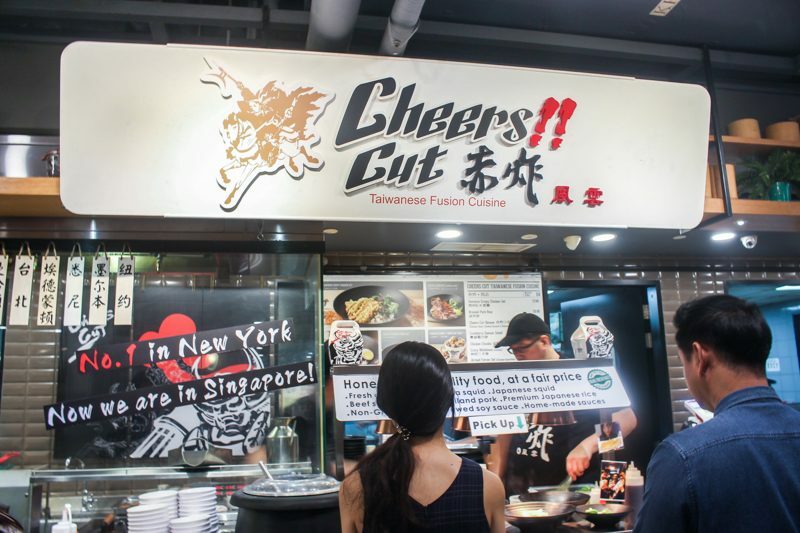 While Cheers Cut might not be as prevalent in Singapore, they are actually an international brand that operates a chain of branches in a few other countries. So hey, you’d better head on down soon before the stall starts to gain even more traction! Get your chicken cutlet to put an end all other cutlets — don’t chicken out.